Though the Hope Street Feast is taking this year off, we will be opening our doors once again for our annual Open Day. We are planning a host of family friendly events that will give you the chance to experience our music, ensembles and learning activities free of charge. 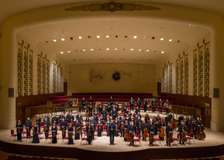 Enjoy a free performance by the Royal Liverpool Philharmonic Orchestra and Chief Conductor Vasily Petrenko at 12.15pm, and at 1pm the Orchestra will rehearse with the children of Faith Primary School, as part our ground-breakingIn Harmony project. 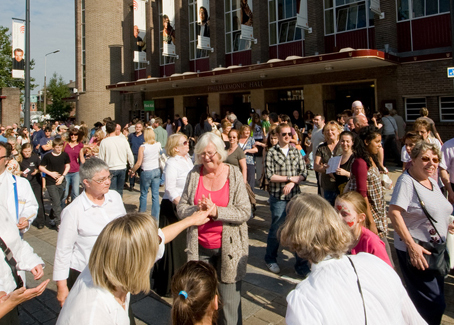 West Everton Super Strings (from the In Harmony project) will entertain us at 2.30pm, there’ll be an Instrument Petting Zoo all day where you can get your hands on a range of musical instruments and at 3.15pm we’ll show the classic film Bugsy Malone on Liverpool Philharmonic Hall’s famous rising cinema screen. If you’ve ever wanted to try out an instrument now’s your chance! Come along and have a go at a selection of musical instruments at our Petting Zoo in the Rodewald Suite. This entry was posted in The Tour Blogs & Brendan's Solo Blogs and tagged 'RLPO', bugsey, concerts, dave, day, everton, faith, film, free, in harmony, liverpool, malone, Nicholas, open, orchestra, organ, Petrenko, phil, philharmonic, rehearsal, royal, strings, super. Bookmark the permalink.